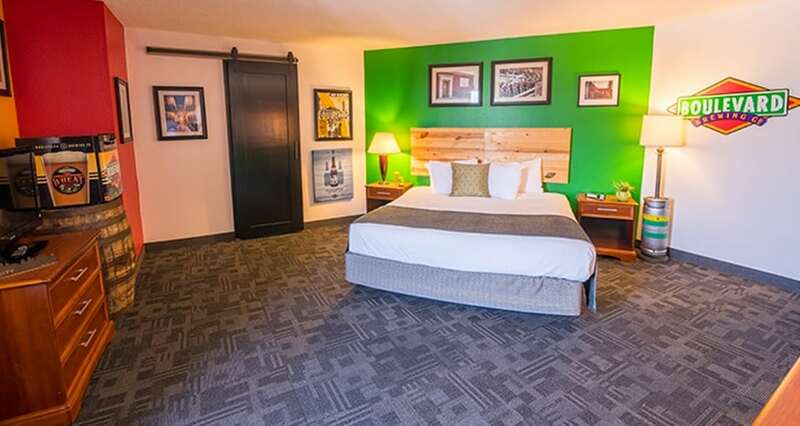 The legendary KC Brewery has offered up a room any beer lover will…well…love! If features a headboard made from palates, nightstands made from beer barrels and floor lamps made from torpedo kegs. Gorgeous images of the brewery enhance the walls. This room is a must to any beer connoisseurs.